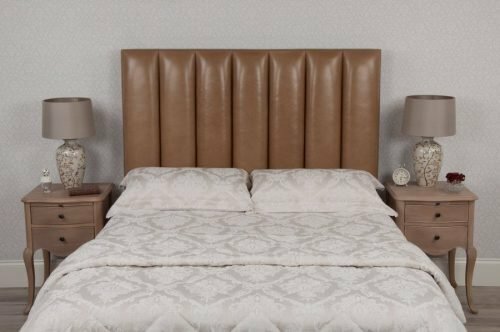 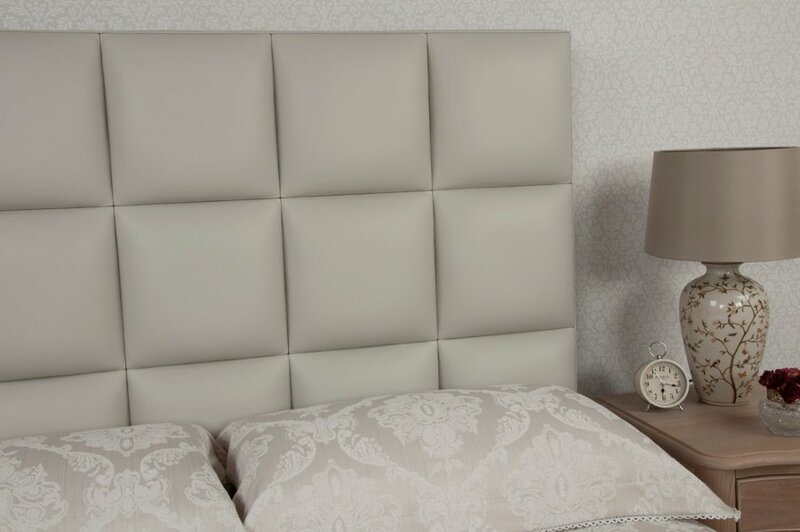 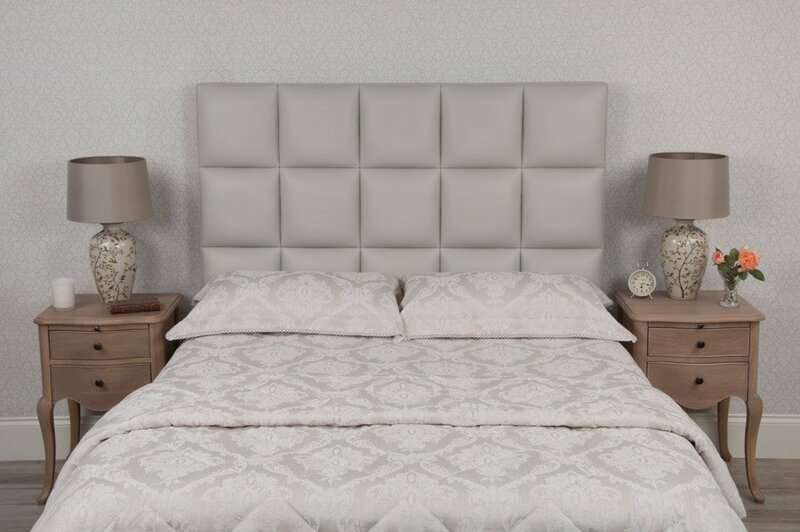 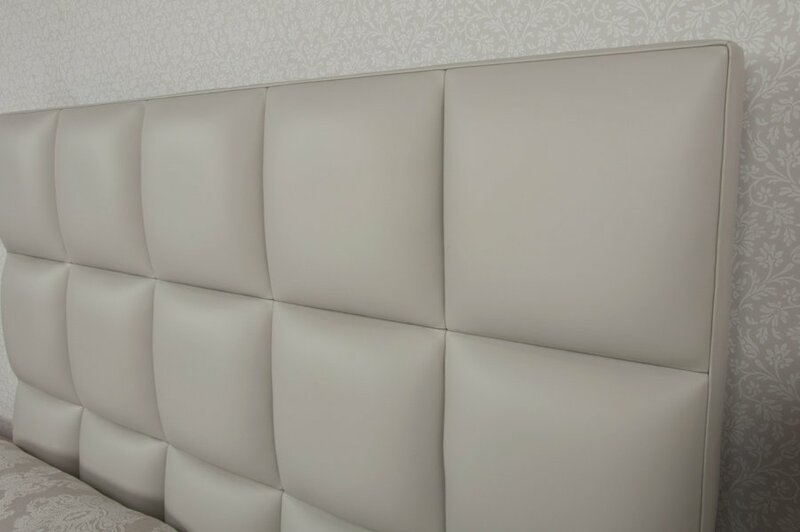 Made entirely from separate padded squares, this headboard has real character, lots of curves to feel and just looks fantastic. 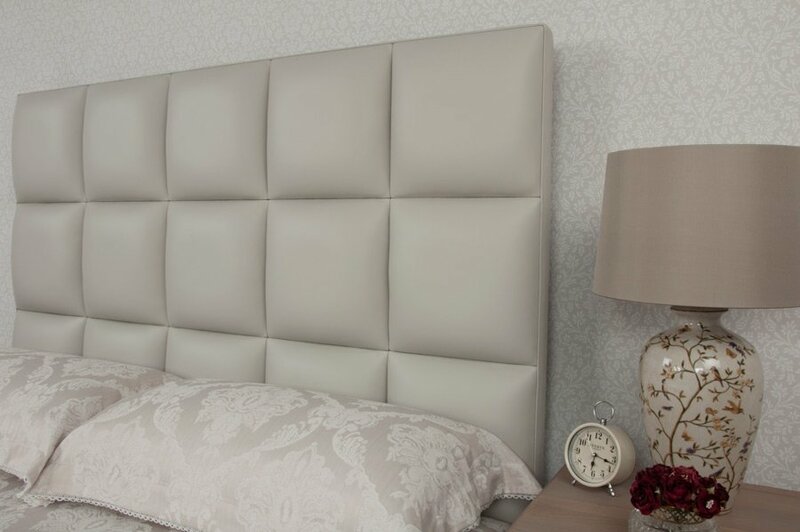 Probably best suited in a modern environment, this design can have a dramatic impact on any bedroom. 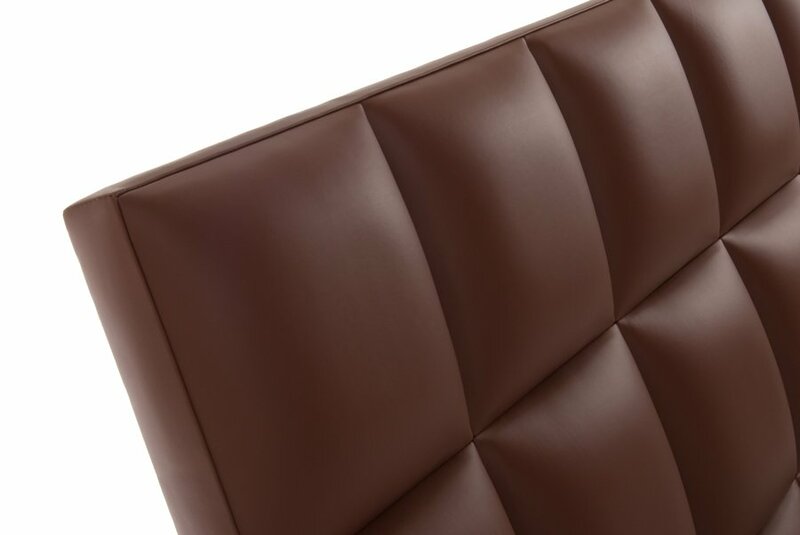 Attention to detail is a must during the manufacturing process here to get a beautiful finish once assembled. 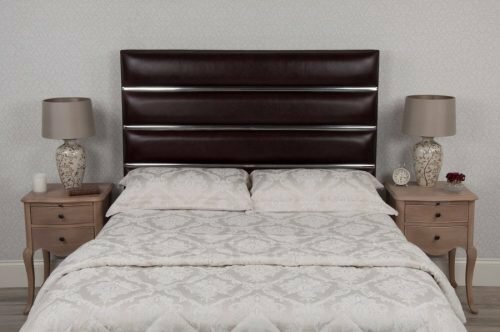 Popular dimensions have been listed above but if you require an exact size, that’s no problem either. 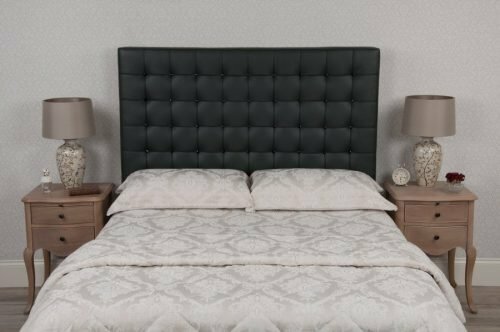 The ‘squares’ don’t have to be exact in their height and width, we can make them to anything allowing any size headboard to be made. 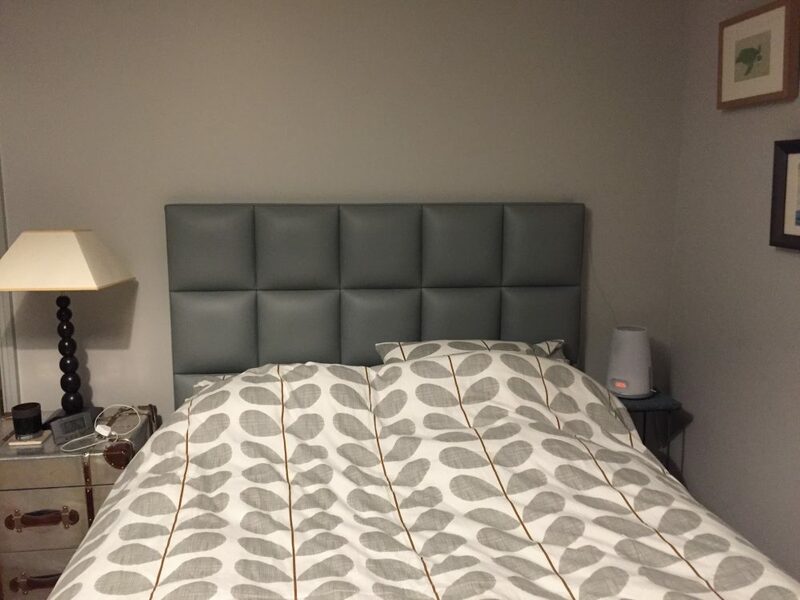 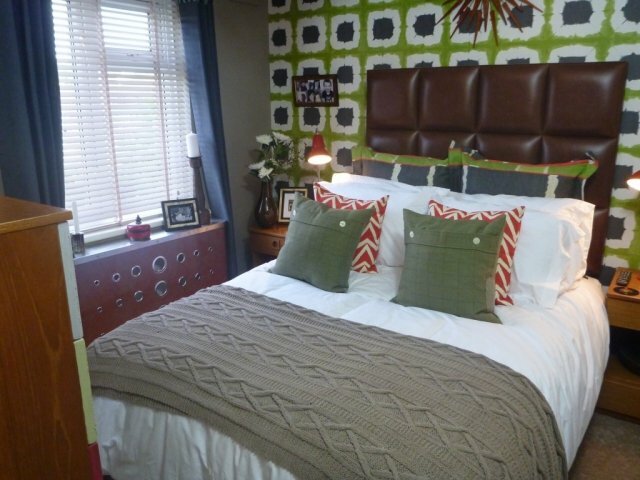 Love the headboard, a very nice piece indeed. 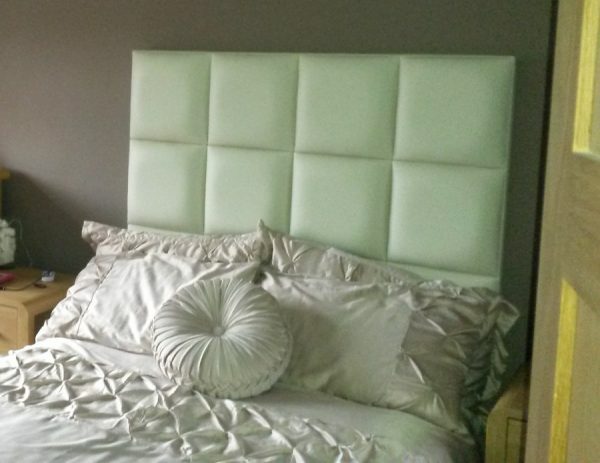 Donated from Love Leather towards a makeover on ITV’s 60 Minute Makeover with Peter Andre.